Isn’t it odd that Judge Walton thought the “prospect of future harm” by the IRS is “speculative”. 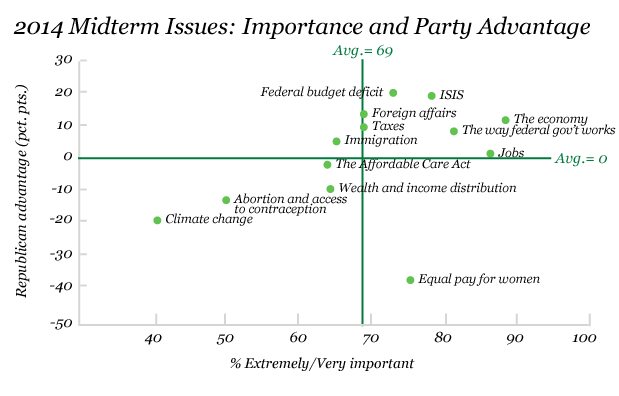 Look at this chart of 2014 Midterm Issues from a recent Gallup poll and tell me that the prominence of “the way federal government works” issue does not bother you. We have a Constitutional crisis going on and Judge Walton just gave the IRS a pass on the most egregious behavior by the IRS since President Nixon. 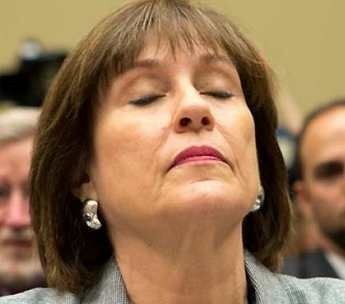 Arguably the behavior of Ms. Lerner and the IRS cover-up is much worse than anything the Nixon administration did. At least he had the decency to resign when he was caught. So for all of those people who thought that “the way federal government works” is a very important problem, Judge Walton has made the problem worse. It looks like laws and courts exist solely for the benefit of government agencies. Has our representative government officially been killed and replaced with an administration accountable to no one and a judicial system more than willing to look the other way? If there is such a thing as an afterlife, President Nixon is probably pissed. For lesser offences he resigned the Presidency to preserve our way of government. Sadly this generation does not care about a form of government he once held dear. Let us imagine for a moment President Nixon is looking down on us and what he would see. Ms. Lerner targeted conservative groups under the auspices of the IRS. She realized that her targeting behavior was forbidden by IRS rules so she starts a cover-up. President Nixon chuckles. She releases the information about the targeting at a conference. This does not go over well and she is subpoenaed by Congress. President Nixon chuckles some more. She makes a statement to the Congressional committee asserting her innocence and then promptly pleads the fifth. President Nixon chuckles some more and thinks the more things change, the more they stay the same. Despite IRS policies that say that IRS personnel must have either disk or printed backup copies of important emails, the IRS cannot produce Ms. Lerner’s and several others emails. President Nixon chuckles. The IRS deliberately ignored written policies and implemented a decentralized backup policy that is dependent on individuals who commit a crime will be stupid enough to leave behind incriminating evidence. Any IT guy will tell you that is a policy born to fail. Conveniently when the subpoenas arrive, the disk drives start failing and the IRS can no longer produce the emails. At this point President Nixon is probably wondering that if he was able to lose the Watergate tapes like this IRS lost the emails, the world would be different place today. President Nixon is confused with the IRS corruption problem. Evidently corruption in the IRS is not the IRS’s problem. The IRS had written policies they chose to not enforce. President Nixon chuckles because there have been no consequences. Judge Walton’s court has just said that corruption in the IRS is not the court’s problem because the IRS has promised to implement the policies they were already supposed to have already implemented. Judge Walton says that IRS corruption is not his court’s problem because the “prospect of future harm” by the IRS is “speculative”. President Nixon is chuckling again. He thinks the word “speculative” is a nice touch. In the city of no consequences our federal government is running amok and Judge Walton has given his blessing. 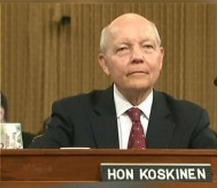 I think we can quickly fix the IRS scandal if we arrest the IRS IT guy. 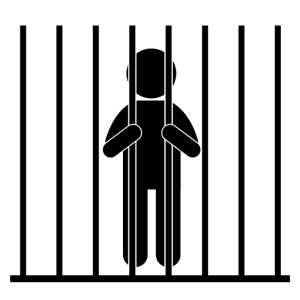 Ms. Lerner’s attorney says it was IT’s responsibility to archive the emails so if we are going to pursue this passive-aggressive game to its logical conclusion then the next step is to throw an IT guy in jail. The beauty of this plan is that it doesn’t even have to be the right guy or gal. As soon as the IT staff gets a whiff of what is going on a lot of these political problems that have been plaguing the operation of the IRS will automagically get solved. I suspect that even that missing 2010 email stating that ‘Tea Party’ applications should be forwarded to a specific group for additional review will finally show up. If the courts do not put the fear of God into these political hacks running the IRS, the IT guys and gals will make it happen and it will not be pretty.